Looking for free things to do in Philadelphia this summer? Depending on how long you’ll be in town, you may find that there are more things to do in Philadelphia for free than you have time for. If you’re driving into Philadelphia do yourself a favor, park your car. Both times that I visited with my boys I parked my truck in our hotel garage and left it there until it was time to go home. I found that this was a less stressful way for us to get around the city. Enjoy the city by bus or foot. Hands down, public transportation or walking is the best way to find even more free or low cost things to do in Philadelphia. In your normal day-to-day you probably drive around everywhere anyway, so why not give yourself a break. This will not only allow you to get a full sense of city life but it will also allow you to spot the little things you might not see while stuck in traffic. 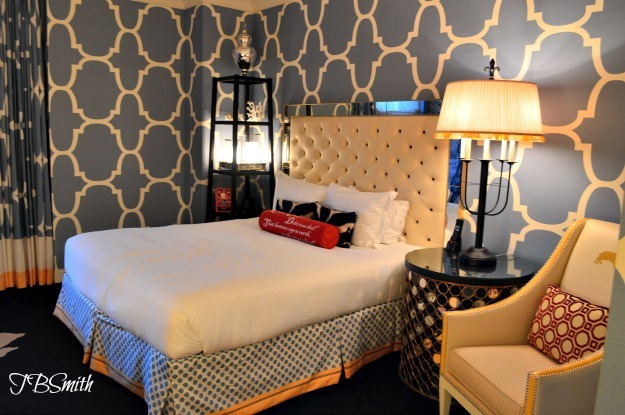 I think Hotel Monaco by Kimpton is hands-down the best location for a visit to Philly. Besides having great views, it’s conveniently located across the street from Independence Hall and within walking distance from some great places to eat or stop for a treat. Parking is by valet and will probably cost you upwards of $30 per day but it’s well worth it. It’s called peace of mind. 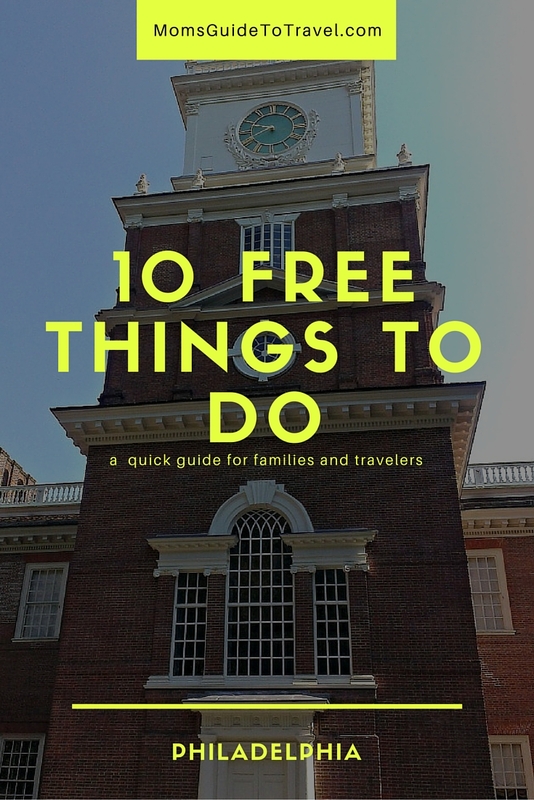 What are Free Things To Do In Philadelphia? Experience early Philadelphia (and American) colonial history right downtown at Independence Mall. Start on 6th and Market Streets to learn about the facts and myths surrounding the bell. You’ll learn about the history of the bell’s crack, eye historic documents, and hear how important groups in American history adopted the bell as a symbol of freedom. Entrance to the Liberty Bell Center is free. You’ll have to undergo a security screening but thankfully the process is no comparison to what you go through at the airport. Tip: Summertime the line tends to be insane so I’d suggest starting early at 9 a.m. when they first open their doors. 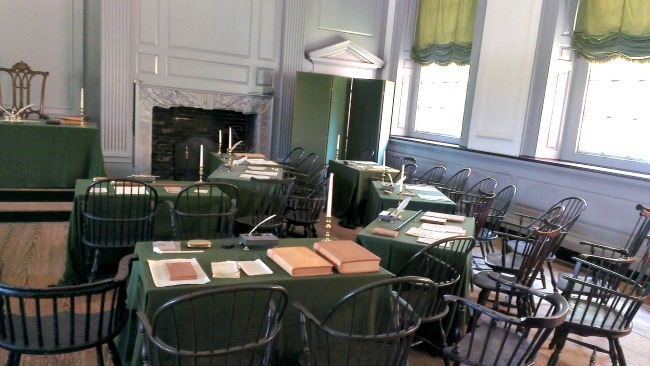 Ever wanted to see the rooms where early constitutional negotiations were made? This is where you want to go. 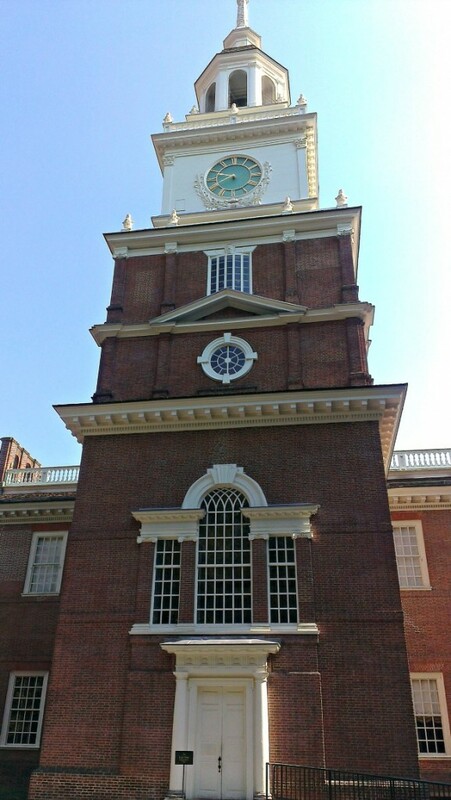 Independence Hall is a must! Admission is by tour only. The guided park ranger tour of Independence Hall brings the history book to life. You’ll first go through an orientation before visiting the courtroom where lawyers met and argued. The Assembly Room is most impressive with George Washington’s “rising sun” chair commanding most of the attention. On the second floor you’ll tour the Long Gallery as well as the Committee Room where committees met to discuss colonial policy. Tip: Although tickets are free, you may want to consider paying the $1.50 for guaranteed timed tickets in advance, either online or by phone. You’ll avoid having to stand in the long walk-up ticket line. 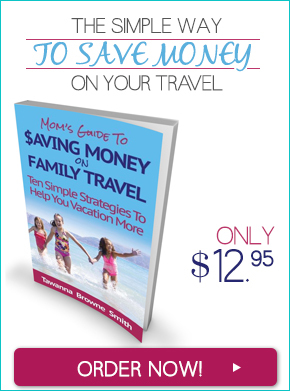 Sometimes it’s good to pay for convenience, especially when it’s hot and you’re traveling with kids. The Barnes Foundation, which houses one of the most important collections of impressionist, post-impressionist and early modern paintings in the world, offers free admission and programming on the first Sunday of every month for its Free First Sundays, presented by PECO. The Barnes also has an art library located on the lower level, which is free to visit Monday through Saturday, as well as free audio tours. The Edgar Allan Poe National Historical Site was once home to the legendary writer who wrote short stories such as The Black Cat here. Visitors can explore his fascinating life and learn how Poe influenced today’s literary heavy-hitters. Tours are self-guided or led by a park ranger from Friday through Sunday. 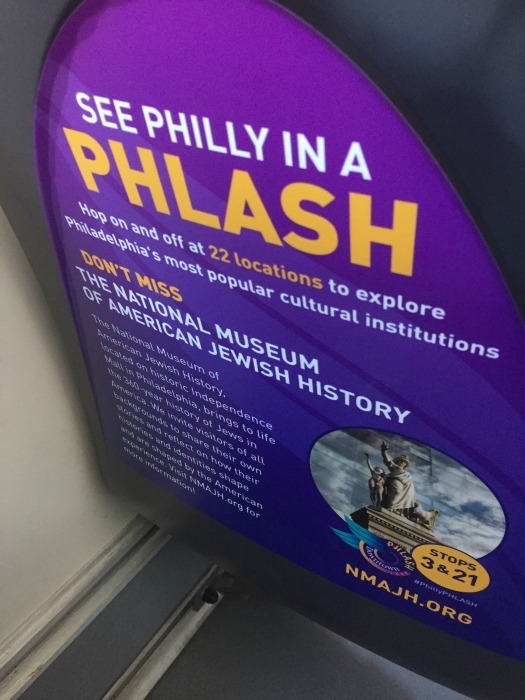 On Independence Mall, the National Museum of American Jewish History invites people to enjoy one of its most popular exhibitions for free. The Only In America® Gallery/Hall of Fame celebrates the lives and achievements of 18 Jewish-Americans who show that America has provided individuals with extraordinary opportunities. The ground-floor gallery boasts some big-name artifacts: Albert Einstein’s pipe and Steven Spielberg’s Super 8 camera, among others. During self-guided tours of the United States Mint, visitors watch coin production from 40 feet above the factory floor and see the nation’s first coining press. Audio and video stations explain currency’s history. Free. The site of the 1777-78 winter encampment of General George Washington and the Continental Army, Valley Forge National Historical Park offers a glimpse into the Revolutionary War with historic structures such as Washington’s Headquarters and commemorative monuments such as the National Memorial Arch. Visitors can explore the park by car, by bike or on foot guided by the park’s cell phone tour. A contemporary art museum devoted to creating work in new media and new materials through its Artists-in-Residence program, The Fabric Workshop and Museum boasts an extensive permanent collection, in-house and touring exhibitions and comprehensive educational programming. Free. The Philadelphia Museum of Art is open to visitors who can pay what they wish to explore the entire main building, showcasing works by Marcel Duchamp, Salvador Dalí, Himalayan artists and many others. The museum offers free cell phone tours that add perspective to the collections. 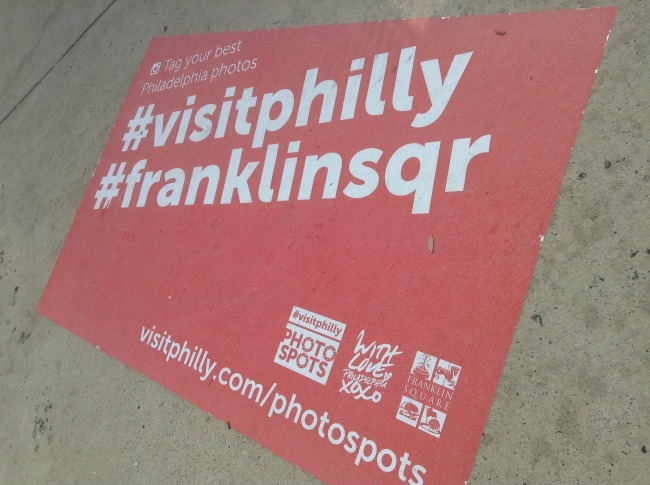 Franklin Square is one of five public parks designed by William Penn as he was creating the layout for Philadelphia. The park is free and has lots of great activities to do. There’s a miniature golf course, classic carousel, burger place, storytelling bench, picnic area and more. Ride the Philly Phlash on a $5 all day pass. You can hop on and off to 22 locations in the city to explore Philadelphia’s most popular cultural institutions. Make sure to bring exact change. If you only need a single ride, it’ll cost you $2. You might as well get the all day pass and ride the full loop around the city. I did it with my kids when we were done hopping off and on to see sites. It was a great way to see the sites and make a mental note of what we wanted to visit next time. For some serious savings on Philadelphia’s most popular attractions, tour-goers can snag a CityPASS ticket booklet, which includes four tickets to Philly favorites. Visitors can pick either Adventure Aquarium or ThePhiladelphia Zoo, but Philadelphia Trolley Works, The Franklin Institute and the brand-new One Liberty Observation Deck are always included. As of March 1, 2016, the cost is $59 for adults and $39 for children ages 2 to 12—45% cheaper than full-price admission costs. The pass is valid for nine consecutive days beginning with the date of first use. What’s more, it allows holders to skip the main entrance ticket line at most attractions. What are some of your favorite free things to Philadelphia in the summer? And while you’re at it, why not Pin this story on your board. Heads up! 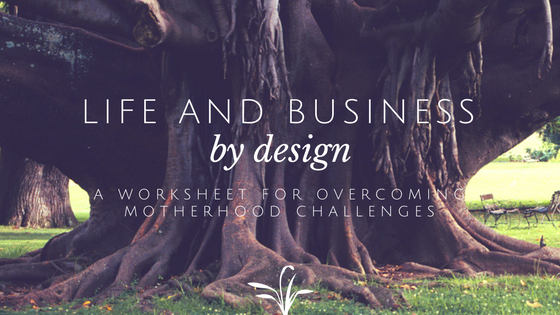 This blog post has affiliate links to help keep it alive and offset administrative costs. What a great guide. These are meaty attractions, and I can think of a lot of cities that would charge for them, so yay Philly! I haven’t visited for a while, and this makes me want to go back. Right Terry! A lot of cities would absolutely charge for them and people would gladly pay. It’s a huge part of American history and a great resource for our children (and many adults) to learn. One of my best friends just moved down to Philly, so we have a visit there coming soon, and this is a FANTASTIC list of spots to hit up with the kids once we’re there! Thanks! You’re welcome. Glad it’s useful for you. 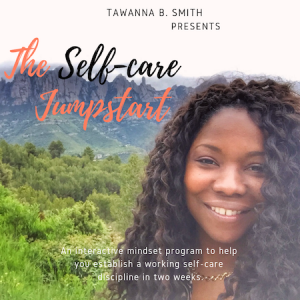 Tons of great things to do for kids that I didn’t even list in this particular post. Thanks for sharing these great tips for visiting Philadelphia. I fly into Phili to visit family, but have never really explored all the things the city has to offer. Of course. We rarely visit what’s around us when visiting family. Might as well maximize the travel right.